There are 3 main ways that a carpet can be cleaned. The best method depends on the age of the carpet, what it is made of and how heavily stained it is. 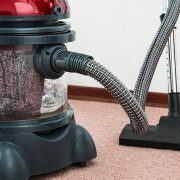 Steam cleaning (also known as hot water extraction cleaning) is the most common form of carpet cleaning. A cleaning solution is applied to the carpet, which is then washed and rinsed with a high pressure water jet from the machine. The dirty water is sucked up from the carpet into a reservoir and the carpet is then left to dry for a period of time. Dry Cleaning (also known as compound cleaning) is the next most common form of carpet cleaning advertised. A compound (chemical powder) is applied to the carpet using a rotating brush moved over the carpet. This compound absorbs the dirt and stains (not unlike a sponge) and is then extracted at the end. Encapsulation is the third most common way of cleaning carpets. Foam is applied to the carpet and similar to the way a dry cleaning compound works. The foam absorbs the surface dirt and dries to a powder, which is then vacuumed up. 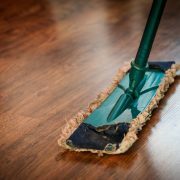 This method is usually reserved for smaller areas such a rugs or spot cleaning and is the most common DIY carpet cleaning in homes. Really Cheap Carpet Cleaning Brisbane says: There are quite a few different ways of cleaning your carpet. While some companies will only use one particular way, our company will ask questions about your carpet and choose the solution that will give you the best result possible. What products are used to clean your carpets will depend on the fibre your carpet is made of. 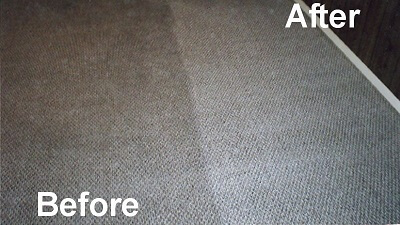 If your carpets are steam-cleaned, synthetic or man-made fibre carpets will use an alkaline ammonia-based product. A wool carpet will require an acidic vinegar-based product. Dry cleaning uses chemical-based detergents to dissolve and absorb dirt and allow it to be vacuumed up after a short period of time. 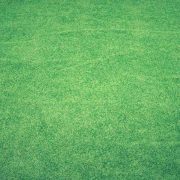 Really Cheap Carpet Cleaning Brisbane says: it is very important to us that the products we use are effective at cleaning your carpets, but also not harmful to your family and pets. We also guarantee that there will be no residues left behind, no matter what type of cleaning we do. 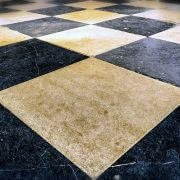 It is very important to know what types of chemicals are being used to clean your carpet. Especially if you have children and pets in the house. Some chemicals contain solvents that give off strong odours, as well as acids, pesticides and artificial perfumes that can potentially cause harm. If in doubt, ask your cleaner what they are using and if they guarantee it is safe. Really Cheap Carpet Cleaning Brisbane says: All the products we used are guaranteed to not be harmful to you, your family or your pets. Health and safety is extremely important to us. Really Cheap Carpet Cleaning Brisbane says: All of these tips are fantastic for helping prevent ear and hard-to-remove stains from your carpet. Of course, prevention is ideal, but things inevitably happen and that why we are here to help! Cordial, soft drink, coffee: Blot (dab) the liquid up from the carpet. DO NOT rub or scrub the stain. Mix a solution of ¼ cup vinegar, 1 squirt of dishwashing liquid and fill with water. Spray, leave for 10 minutes and blot up with a dry cloth. Always use cold water, as hot water can set the stain. Pet Urine, blood: Soak up as much moisture as possible. Mix a spoon of enzyme-based laundry liquid with cold water, and spray stain. 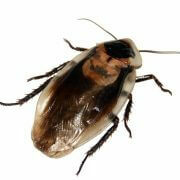 The enzymes will break down the odour as well as the stain, and leave no scent for your pet to return to that spot. Blot with a dry cloth. You may need to do this more than once. Really Cheap Carpet Cleaning Brisbane says: These are some really good tips for getting stains out as soon as they happen. If they are discovered after they’ve dried and won’t come out, give our carpet cleaning Brisbane team a call. We will do everything we can to fix it! Who do You Call for Cleaning? Check Out Our Massive Facebook Offer! !